The threat is palpable… a great writer. Time is running out for Goldcord Asylum. Once a progressive establishment dedicated to curing the mental problems of the inmates, now the asylum is under increasing pressure to treat and release patients whether they are ready or not. Professional pride, personal ideals, financial pressures and dark secrets compete to determine whether Goldcord will survive. In the midst of this maelstrom of conflicting interests, Ivy Squire is committed. A strange young woman, so self-destructive that she must be kept in isolation, Ivy begins to reveal her story to new nurse Tilly Swann. But can Tilly find the key to Ivy’s madness before she is dragged into danger by Superintendent Enoch Gale’s increasing recklessness? Madness is in the eye of the beholder, and Enoch Gale sees it everywhere. In a desperate attempt to leave a legacy of progress, he wreaks irreversible destruction on the lives of his patients. Goldcord Asylum promises a cure, but you will find no rest there, just shocking violations of women whose only crime was to feel. Ebook available on Kindle, Smashwords and other ebook retailers via the Smashwords premium catalogue. View my research book list for Goldcord Asylum on Goodreads. 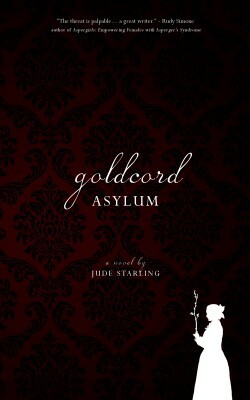 The Goldcord Asylum online tour – guest blogs, reviews, interviews and more!